French oil giant Total has officially cut ties with Iran under the threat of new U.S. sanctions, Iranian Oil Minister Bijan Namdar Zangeneh said on state television Monday. 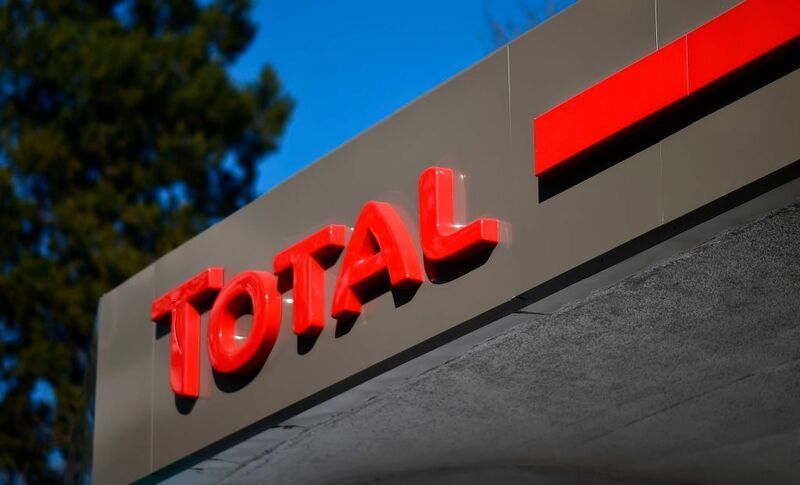 Total has "officially left" the Islamic Republic following U.S. threats to sanction any company that does business with the country, Zangeneh confirmed, Radio Free Europe reported. The oil company has “left the contract to develop the South Pars Gas project,” he explained, adding that a “process” has been undertaken to replace the company. China, which is embroiled in a multi-billion dollar trade war with the U.S. and has said it will not comply with new sanctions against Tehran, has moved to take over the project, according to previous media reports. China National Petroleum Corp, which is state-owned, reportedly took over Total’s stake in the country. However, the French company was still hoping to secure a waiver from Washington to continue its efforts in Iran when that news was reported earlier this month. With the news of Total’s departure, Iran urged European leaders to increase their efforts to preserve the 2015 Joint Comprehensive Plan of Action, commonly known as the Iran nuclear deal. “Europeans and other signatories of the deal have been trying to save the deal...but the process has been slow. It should be accelerated,” Foreign Ministry spokesman Bahram Qasemi said during a news conference broadcast on state television Monday, Reuters reported. “Iran relies mainly on its own capabilities to overcome America’s new sanctions,” he said. The international agreement was signed by France, the United Kingdom, Germany, China, Russia, the European Union and the U.S., under the administration of former President Barack Obama. In May, President Donald Trump withdrew the U.S. from the agreement, calling it “deeply flawed.” His administration moved earlier this month to re-impose harsh sanctions against Iran, with the president threatening to target anyone who preserves economic ties with the Middle Eastern nation. “Anyone doing business with Iran will NOT be doing business with the United States. I am asking for WORLD PEACE, nothing less!” Trump tweeted on August 7. Despite Trump’s threats, European leaders have taken an oppositional stance toward Washington. Just ahead of the new sanctions, the foreign ministers of the U.K., France, Germany and the European Union issued a joint statement expressing regret at Trump’s decision. The ministers also said that Europe would take steps to “protect” its economic interests in Iran. An aide to the EU’s foreign minister further suggested that European leaders could counter-sanction companies that cave to Trump’s pressure. Nonetheless, several prominent European companies besides Total have already moved to curb their activities in Iran. German car manufacturing giant Daimler said that it had suspended its activities in Iran as new sanctions went into effect. In June, following Trump’s withdrawal from the JCPOA, French auto manufacturers Peugeot and Renault began taking steps to prepare for U.S. sanctions as well.